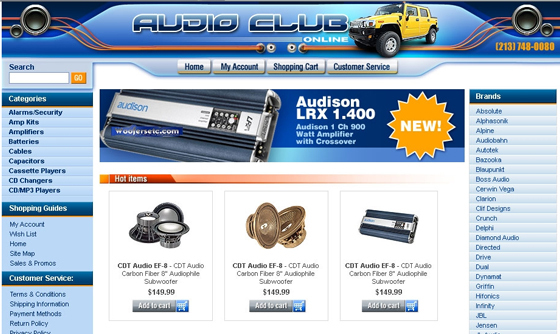 Audio Club Online is a one stop shop for professional car stereo, audio and video equipment!. 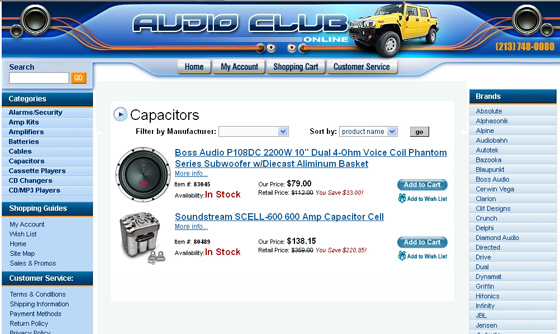 Caring top of the line car stereo products from a wide range of manufacturers. 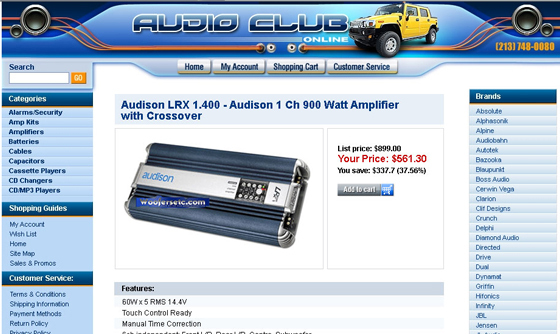 Quick shipping, low pricing and great customer services. 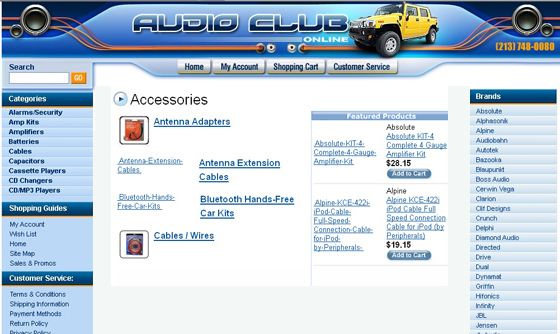 IBCnet provided web site design for eBay and consulting services.